Brian Dabson joined the School one year ago as a Research Fellow, which was an idea submitted by Jonathan Morgan for funding through the Innovation Fund. I had known Brian through CUPSO (Consortium of University Public Service Organizations), which transitioned from SCUPSO (Southern . . .) during his tenure as President. Brian was one of a growing number of members who were located outside of the South. He was the Director of the Institute of Public Policy at the University of Missouri’s Harry S. Truman School of Public Affairs. Brian retired and moved to Durham with his wife, Karen Mocker Dabson (more later). 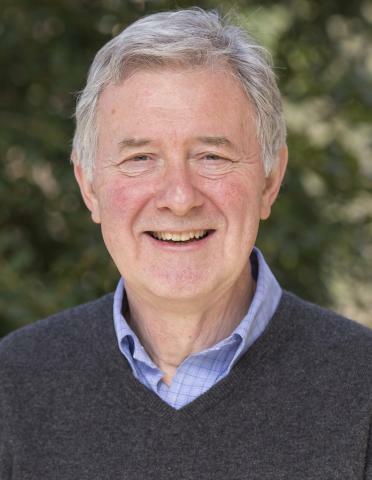 Brian has had a distinguished career in rural community and economic development, and at a recent Faculty Lunches with the Dean he shared some of the things he has been working on. A major focus for Brian in recent years has been the field of community vulnerability and resilience. He has written a number of posts about this important concept for the School’s Community Economic Development in North Carolina and Beyond blog. Writing after Hurricane Matthew in a post titled “Strengthening Resilience in North Carolina’s Communities,” Brian noted that North Carolina made a number of improvements after Hurricane Floyd in 1999, but it “was not sufficient to protect many communities from devastating floods, or to convince residents and businesses to take greater responsibility for their own resilience in the face of disastrous events.” The concept of vulnerability and resilience is not limited to natural disasters. 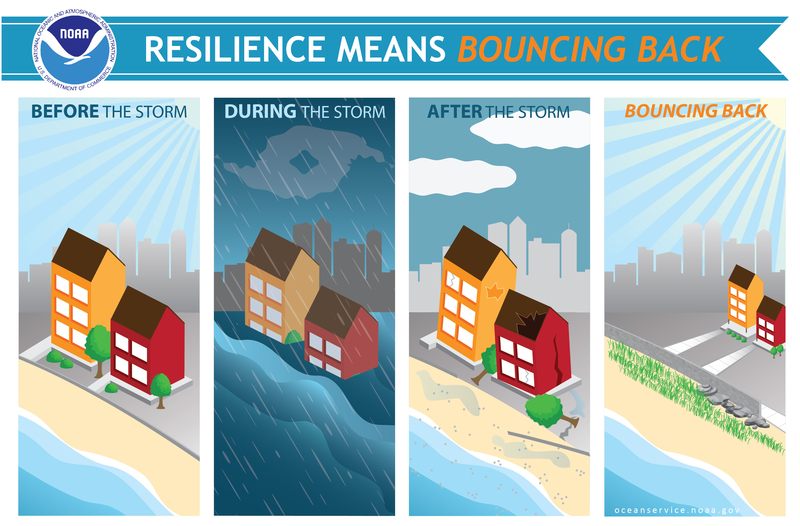 Brian was involved in a national research project that developed resilience measurements for every county in the country across four dimensions—economic, social, infrastructure, and environmental. He examined where North Carolina counties stand on the economic and social measures in one post and on the infrastructure and environmental measures in another one. Brian has been working hard to introduce North Carolina public officials to concepts of resilience and support them in doing a better job of protecting their communities. It has not been easy. He is exploring the creation of a North Carolina-specific site using metrics on vulnerability and resilience. My guess is that the issue of resilience runs up against a powerful tendency to respond after a crisis rather than to make hard decisions in preparation for a crisis—even though preparation logically and financially makes the most sense. Brian is laying important groundwork, however, and my sense is that he will gain traction over time. For example, he put together a highly competitive bid for a contract on resilience from the Appalachian Regional Commission, and unfortunately came in second. He is hoping to secure a grant this summer from NOAA (National Oceanic and Atmospheric Administration) on coastal resilience (issues related to sea level rise in Dare County) in partnership with a number of other organizations. Brian also is working with NCGrowth at the Kenan Institute on how to think and talk about buyouts for communities at high risk for natural disasters—such as the Town of Princeville. What happens to the land? What happens to the people? One outcome may be a how-to guide for city and county managers on planning for possible buyouts. Brian is thinking about how to work with managers on planning ahead in at-risk areas, and it could include a basic course through the School on vulnerability and resilience. I’ve been impressed with Brian’s willingness to take the initiative and the number of connections he has made in such a short time. He particularly has done a nice job in building partnerships inside and outside of the University. His position as a Research Fellow is a new one and I think he is off to a really good start. I encourage people to get to know Brian—he’s a wonderful guy and his work is really interesting. I mentioned that his wife is Karen Mocker Dabson. 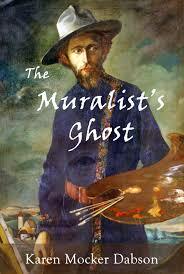 She is a talented writer, and I strongly recommend The Muralist’s Ghost, a compelling novel based actual events.